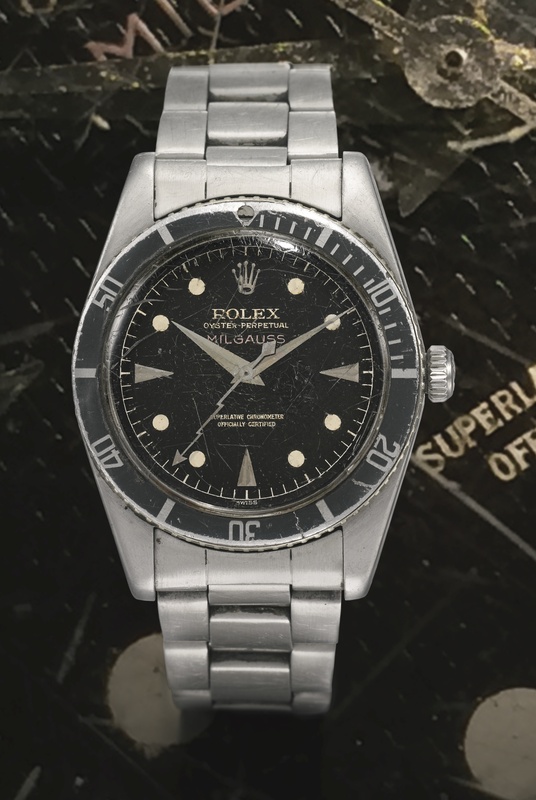 While contemporary Rolex models feature the latest and greatest technologies, many collectors choose vintage references for their rarity, and one-of-a-kind characteristics. 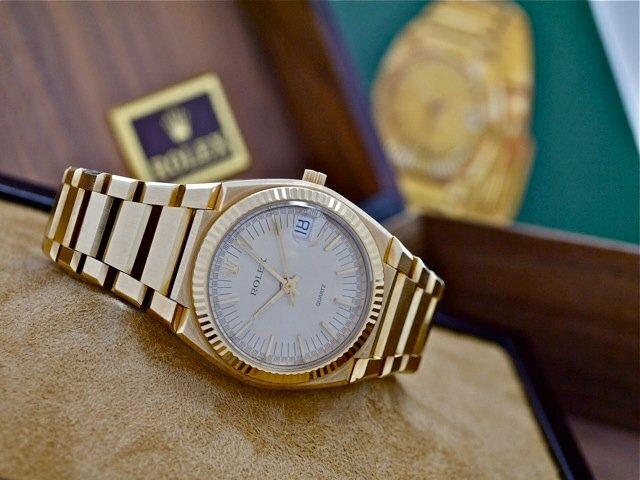 Although there are many excellent Rolex references available, we have put together a list of the top-10 vintage Rolex for collectors to own. Reference 4113 Split-Seconds Chronograph (circa 1942) – Just twelve of these watches were ever made, and only eight have surfaced. At 44mm in diameter, the reference 4113 is remarkably large by Rolex standards – especially considering the year that it was manufactured. 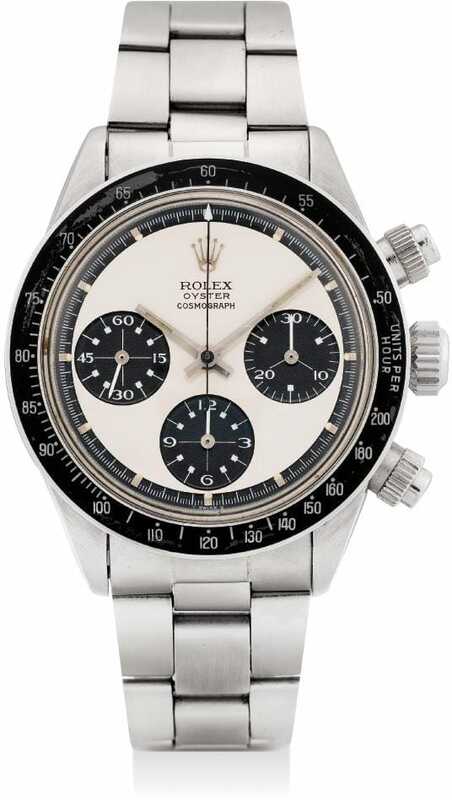 As the only split-seconds chronograph ever produced by Rolex – and with a production run on just twelve units, the reference 4113 is beyond collectable, and examples have sold for over a million dollars when they surface at auction. Reference 3346 Zerographe (circa 1937) – As the first Rolex to ever feature an in-house chronograph movement, and as the first ever to employ the use of a rotating bezel, the reference 3346 is the precursor to many of Rolex’s most iconic design traits. With no official mention of it anywhere in Rolex’s literature, the Zerographe is more of a refined test concept than a design intended for sale to the public. It is believed that between seven and twelve reference 3346 were produced, and only four examples are known to still be in existence. Reference 6200 “Big Crown” Submariner (circa 1955) – The reference 6200 was not the first Submariner that Rolex ever produced; however it is probably the most sought after by collectors. The reference 6200 pre-dates the Submariner name, and the over-sized crown sets it apart from other Submariner references from the same time period. Reference 6263 “Paul Newman” Daytona (early 1970’s) – With all the attention being paid to Rolex’s new, ceramic Daytona, one must look to the iconic watch from which it takes its design cues. The new, black cerachrom bezel is quite reminiscent of the black acrylic insert that was fitted to the reference 6263 Daytona. Although quite a few different dial designs were produced, Newman dials exist in just white and black, and exponentially increase the value of the watch. Reference 6542 GMT-Master with Bakelite Bezel (circa 1954) – As the first GMT-Master ever produced by Rolex, the reference 6542 represents the beginning of one of Rolex’s most iconic lines of watches. The reference 6542 lacks crown guards, setting it apart from later versions of the GMT-Master; however the real treat for vintage collectors is the ultra-rare, original Bakelite bezel insert (assuming that it has not been replaced). Reference 6541 Milgauss (circa 1958) – The reference 6541 Milgauss is the first antimagnetic timepiece ever produced by Rolex, and its lackluster initial sales have made original examples quite rare today. Unlike later versions of the Milgauss, the reference 6541 more closely resembles an early Submariner, and features a rotating bezel that could be used as a rudimentary timer. Reference 6204 Submariner (circa 1954)­ – As the first Submariner ever produced, the reference 6204 is instantly collectable. Much like the reference 6200, the reference 6204 pre-dates the Submariner name (and crown guards); however it lacks the addition of an oversized crown. The Submariner is Rolex’s most iconic line of watches, and the reference 6204 is the watch that started it all. Reference 5100 Beta 21 (circa 1970) – The reference 5100 Beta 21 was Rolex’s first quartz watch ever, as well as the first Rolex to be fitted with a sapphire crystal. The movement inside the reference 5100 (the Beta-21), was jointly developed by twenty-one Swiss watch manufacturers, and was the first Rolex to feature a hacking feature and a quickset date. The reference 5100 was limited to just 1,000 pieces, and owners were invited to visit the Rolex plant in Switzerland for a tour of the factory. 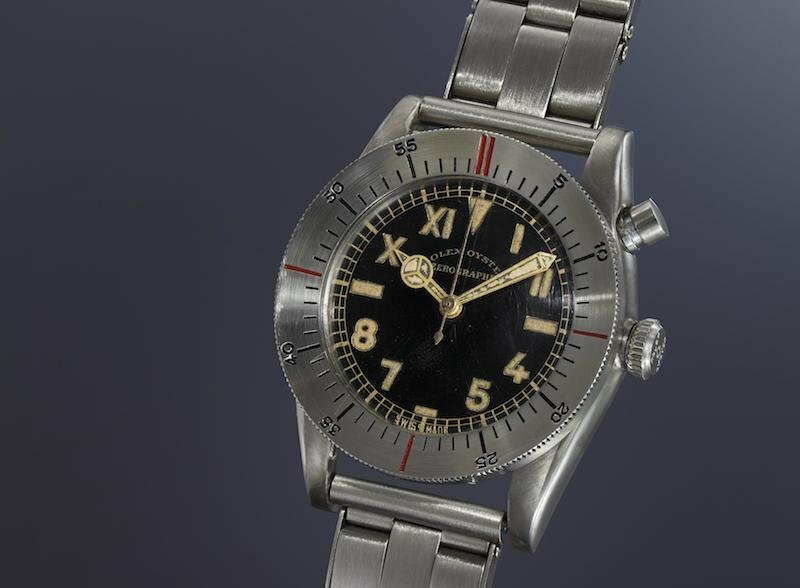 Reference 1655 Explorer II (circa 1971) – First released in 1971, and intended specifically for speleologists, the reference 1655 Explorer II was initially a flop with the public, despite several celebrity endorsements. Much like the reference 6541 Milgauss, poor, initial sales numbers for the reference 1655 are responsible for its current rarity. While many generations of Explorer II have been produced, the dial of the reference 1655 is entirely unique to its generation, and makes the watch a true classic. Reference 1665 Sea-Dweller (circa 1967) – While the Submariner is Rolex’s official dive watch; the Sea-Dweller is the dive watch designed with the professional diver in mind. The helium gas escape valve allows the pressure inside the watch to equalize to its surroundings, enabling users to use it for saturation diving. While the Submariner is Rolex’s most popular and iconic watch, the reference 1655 Sea-Dweller was created by Rolex to one-up the Submariner, which is why it deserves the final spot on our list.